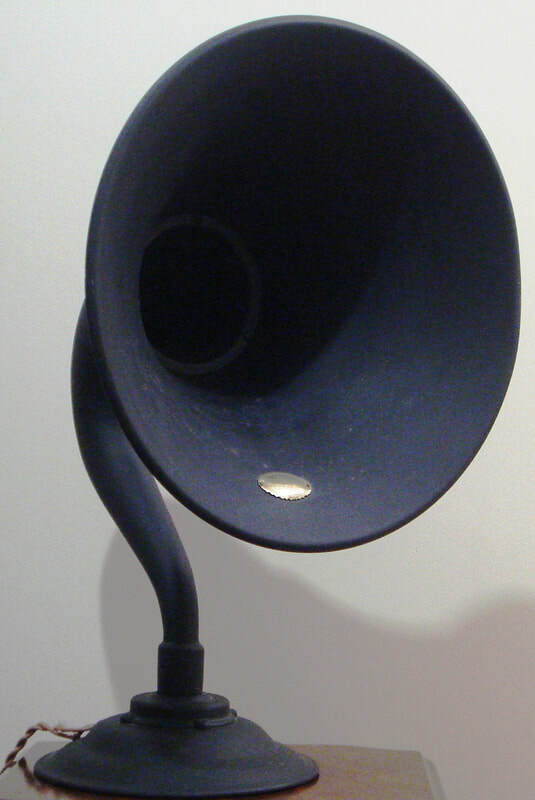 1925, model H, horn loudspeaker, manufactured by Atwater Kent Manufacturing Co., Philadelphia, PA, USA. It has a brown finish, metal case construction. Dimensions Height 546mm x Diameter 368mm.